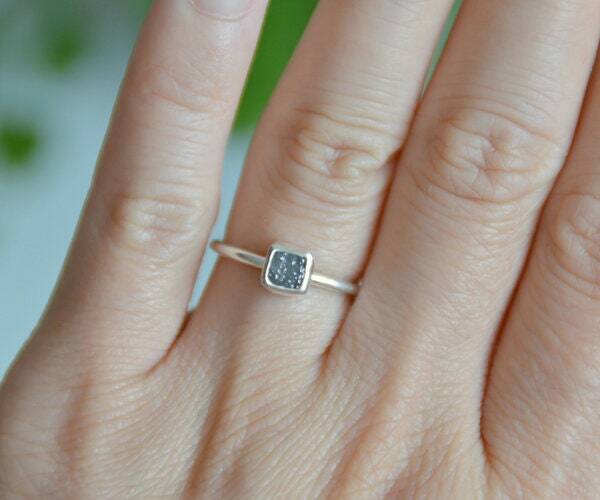 This raw diamond cube engagement ring is handmade at my studio in England. It comes with a classic ring box and is ready to present. 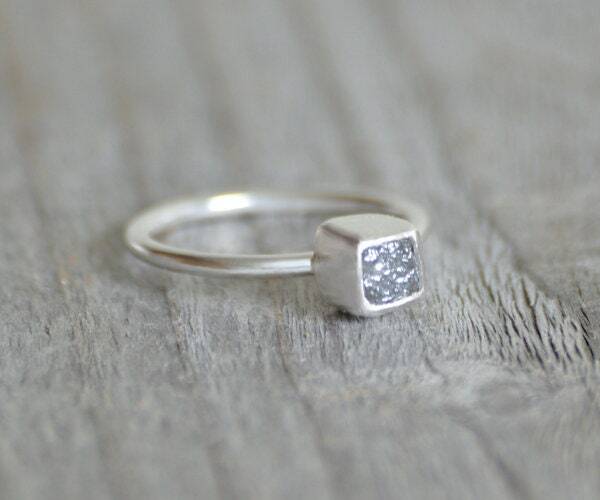 The natural diamond featuring on this ring is uncut. 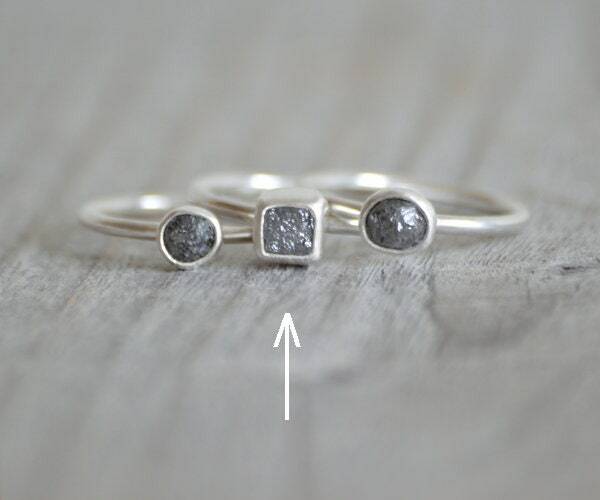 Material: natural raw diamond, recycled sterling silver and fine silver as shown. It can be reset in gold, pleases choose from the drop down menu. 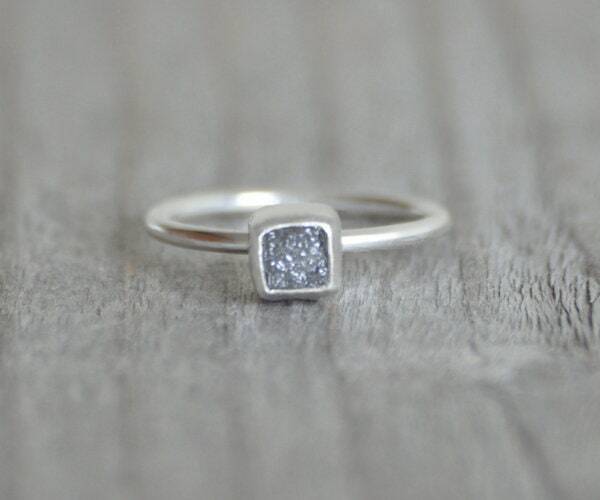 The raw diamond is conflict free and the ring is nickel free.